Web hosting is the home for a website, just like a house is the home for you and your personal belongings. Every image, piece of text, and various other types of content for a website are retrieved from a website’s hosting server. There are different types of web hosting to meet the different needs of each website. Combine the power of a Linux operating system with the easy to use graphical interface called cPanel and you get the most popular web hosting combo. cPanel with Linux makes managing a website much easier with it’s well designed GUI (Graphical User Interface) that lets you take control of how your server functions. If you are just starting out small you can begin with our Economy Linux Hosting with cPanel. Don’t worry if your website and your visitors grow. You can always upgrade in the number of websites you run and in storage space with our cPanel Ultimate plan. Does your website have Windows specific needs? You can host your website with Silver Knight’s Windows web hosting that uses the Plesk interface. Just like our Linux plans there is Economy through Ultimate plans depending on the number of websites and storage space you want to run or require. Need more power but don’t have a server admin, no problem we have the web hosting for you. Business Manage VPS Web Hosting gives you the power of a VPS in a more manageable environment. It’s easier to use, it has dedicated server resources, and there is isolation from other servers. This plan is similar to the regular Linux with cPanel Web Hosting, only it has much more power and speed because you have your own virtual space. WordPress is the fastest growing website platform for building a website. Almost 30% of all websites on the internet are built with WordPress. Because of this you can get hosting that is specifically designed for WordPress websites. Try Managed WordPress Web Hosting to take the burden off from learning how to use the cPanel hosting interface. Do you want more control over your Design? Business Managed VPS is your goto hosting when shared hosting is not fast enough. If you are familiar with using cPanel, and you don’t want to deal with administering a full VPS or Dedicated server, this is the hosting for you. Websites that require more speed and power will benefit from a VPS Web Hosting. Typically website that need to move to VPS are resource-intensive, eCommerce, and/or have high-volume traffic. Plans range from Economy to Ultimate which has up to 240 GB* of storage and 8 GB RAM. VPS Linux Web Hosting plans and VPS Windows Web Hosting plans are available. * Includes operating system files, which can be around 1GB. More Power, More Ram, More Levels of Management from Self Managed to Fully Managed plans are available. Both Linux and Windows plans are customizable, have full root access, with no resource restrictions. There are too many Features to list here so check them on your operating system of choice. 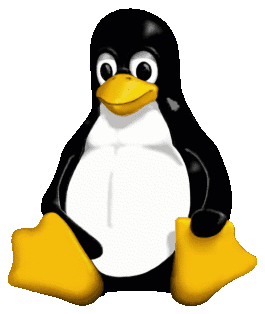 Go here for Linux Dedicated Server Web Hosting. 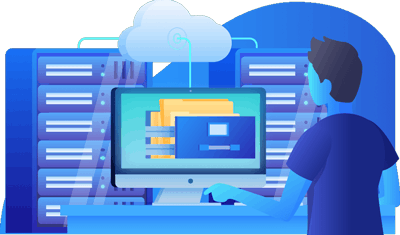 If you need Windows Dedicated hosting then visit this page for more info about the Dedicated Windows Server Web Hosting plans.